RUSH: I have been chomping at the bit to get here. I’ve been chomping at the bit. I almost called some TV shows and said, “You want me on? I gotta weigh in on this.” I’m talking about the Comey interview on Bret Baier last night. As you people know, this whole dossier thing to me is the most important element of this entire scandal. And Bret Baier zeroed in on it last night and got an answer from Comey that I was not expecting. I’m glad he got it, but I wasn’t expecting it. Okay. Let me reset the table here for just a moment — and, for some of you, it’s gonna be redundant, and I beg your indulgence in this. We are now a year into a special counsel investigation of Donald Trump. The express purpose of the special counsel investigation is to get rid of Donald Trump. It has been the purpose of it since it began. It’s been the purpose of every opposition element from the media, the Democrat Party, and leftist activists since Trump won the election. The primary element in this effort to get rid of Donald Trump has been something called the Steele dossier or the Trump dossier. It is a 36-page document, which purportedly claims to have intel that was crafted and discovered by Christopher Steele, a retired British intelligence agency individual who is not even allowed to step foot in Russia, but all of his sources are Russian. And not a single charge, not a single morsel, not a single bit of any of this so-called intelligence in any of the 36 pages has been corroborated. Not a single element of it has been verified. And everybody using it for the express purpose of conducting this investigation knows that none of it has been verified, none of it has been corroborated. We learned months ago that we have been lied to from the beginning about this dossier because it isn’t a dossier, and is not a collection of random intelligence gathered by an intelligence officer. It is, rather, an opposition research document created after being paid for by Hillary Clinton and the Democrat National Committee using Fusion GPS and a law firm called Perkins Coie to actually get the payment or the money for this to Christopher Steele. We know that it has been knowingly used by everybody using it as legitimate intelligence that purports to prove (if any of it could be verified) that Trump colluded with Russia to steal the election. But none of that is true. None of the dossier is true. It is not legitimate anything. It’s not intelligence. It’s not the result of a guy talking to intelligence sources in Russia feeding him intel. This is a work of art commissioned by Hillary Clinton and the DNC. It’s nothing more than what any campaign would prepare on an opposing candidate. It’s called opposition research. But this was different. Usual opposition research tries to collect things that are somewhat truthful. They can be used at any stage of the campaign — and the later in the campaign, the better — to try to frighten voters that there are things we’re just now learning about a candidate that make him unacceptable. This thing was created for the express purpose of having it misused. This thing was created knowingly to be used as phony intelligence. This scandal, this hoax is miles beyond what anybody can conceive. People doing this, people applying for the warrant knew that it was nothing more than literally made-up BS — literally made up, made up like somebody would write a novel — and it has been used as the foundation for everything in this investigation. It is a scandal. It is a gigantic hoax. To me, it’s the elephant in the room. There are a lot of people looking at this whole investigation, and they see the dossier, and they understand it’s a big deal, but they kind of gloss over it because it’s easy to conclude what this is. People have been looking at other elements of the investigation, what I call the minutia, and trying to focus on those elements. Which are important, do not misunderstand. But they’re a little bit tougher to understand and, therefore, people can be seen as really smart and brainy if they’re able to translate some of these esoteric elements of the investigation, make them understandable to people. Like Comey’s memos and whether or not Comey leaked and all of that. Those are important things too. There’s a lot of things involved here. But the dossier, to me — as you well know, because I’ve probably driven you crazy talking about it. ‘Cause it offends the hell out of me, folks. It offends the ever-loving (pause) everything in me that’s decent out of me. It is purely fake and everybody using it knows it and has known it from the get-go. Everybody using this as their primary tool and weapon to get rid of Donald Trump has known from the get-go what it is because they’re all in on it in one way or another. The media knows what it is. They didn’t care. They were willing to help. The Clinton campaign and the Obama people get this thing out in the public as supposedly legitimate intel, because the entire Washington establishment has been devoted to one goal since election night 2016, and that is to get rid of Donald Trump. And they have sought to do this by driving Trump’s approval numbers down, which would enable them to say that public opinion supports getting rid of Trump — ’cause you can’t get rid of the president without public opinion. You can’t just do a wide-open coup and say, “We don’t like this guy! He shouldn’t have won; we want to get rid of him.” The American people wouldn’t put up with that. So the American people have to be seen as in support of getting rid of a president. That’s why you drive the approval numbers down. That’s what all of this has been about. They thought it would take ’em six months. They knew what they had in this dossier and the No. 1 ingredient in the dossier is the so-called pee episode where Trump supposedly hired prostitutes in Moscow. He found himse… Here’s what the story is. He found himself in a hotel room in Moscow at the Miss USA pageant, and somebody told him he was in the room that Barack Obama and Michelle used when they were once in Moscow. And Trump then had the idea of calling some prostitutes! When he found out that Obama had slept on the bed he was gonna sleep in, Trump found a way to get hold of some prostitutes in Moscow to have ’em come over and urinate on the bed. The golden showers element of the dossier. Yep! Trump did all of that ’cause he doesn’t like Obama, and it was a great insult to Obama, and we all know Trump’s capable of this kind of thing ’cause he’s a reprobate. So that is the No. 1 element of this dossier because it’s titillating, because people think, ‘Wow, prostitutes peeing on a bed!” You can see that in your own mind. You don’t need some think tank intellectual explaining it or breaking it down for you. That, you can understand, and that can make you sick. That could just tick you off. So trying to make that believable, including that — something titillating — is “the high point,” quote-unquote, of the dossier. Everybody involved — the media doing the reporting, FBI leaders, CIA leaders, Director of National Intelligence people. They all knew that there wasn’t a shred of truth in this. Even the whole idea that they’re gonna try to verify it and corroborate it is BS! It was written as a political opposition document. It is not intelligence. Furthermore, what does intelligence have to do with the so-called criminal investigation? Oh, wait, this isn’t a criminal investigation. It’s a counterintelligence investigation, which permits all kinds of expansive opportunities to include oddball evidence. There was never any attempt to corroborate this. There’s nobody to corroborate it! The stuff in this is made up. There might be some elements in it that are fairly close, like such-and-such was in Belgrade on such-and-such a date. I mean, Steele made sure to include some things in here that could plausibly have happened or could be discovered to have happened in order to give credibility to other elements such as the pee tape. But everybody involved knew there’s nothing to corroborate here because it’s a work of fiction! Who would go corroborate a novel? You don’t do that. You read it for the enjoyment of it. That’s all this is. It’s all it has ever been, and everybody involved knows it and has been lying to us through their teeth as they perpetuate the myth and the lie of this. And look what this dossier has begot. We are now smack-dab in the middle of an out-of-control special counsel investigation for which there’s no evidence that’s been procured that has anything to do with the central reason the investigation exists: Trump collusion with Russia. People’s lives are being ruined. Their economic circumstances are being destroyed. It is a scandal. It may be the biggest scandal in my lifetime and maybe in modern American history. I can’t speak for the scandals that happened in the 1700s and 1800s. But if there is something as bad, it’s not that much worse. This is at the top of the heap for me, and all of this actually has a secondary purpose, and that is to hide all of the potentially illegal activity that took place top to bottom in the Obama administration during the campaign to deny Donald Trump his election victory. So this investigation of Trump is to… See, if Hillary Clinton had won, you’d a never heard about this dossier and you’d a never heard about Christopher Steele and you would have never have heard… There wouldn’t be a special counsel, and we wouldn’t know 90% of what we know regarding actions taken by the intelligence community and other areas of the Washington establish. Because if Hillary had won, everybody here would still have their jobs in the administration, and we wouldn’t know anything. All of this, in addition to getting Trump, is designed to protect the people who have orchestrated and implemented this scandal. So James Comey comes out with his book and it’s smarmy, and he ends up being smarmy after having seen him on TV a couple times here. I first had my interest piqued in the Comey relationship to the dossier two times when he mentioned the dossier to the president, January 6th, 2017, January 27th, 2017. And on the latter occasion, January 27, the reason for mentioning this to Trump was to make it news and permit the dossier to be reported on. It was circulating throughout Washington all during the summer of 2016 and even as late as 2015. But everybody knew what it was. They couldn’t run it. It was BS. But they needed a reason to run it and they finally found a reason to run it when it was determined that Comey would show it to Trump as, “This is an example of the kind of stuff that’s out there, Mr. President. We need to be vigilant protecting you.” Trump had no idea what was going on at the time. Trump had no idea. He’s under the impression that all these people are on his team. He’s the president; here’s the FBI director. He’s under the impression that these are people maybe not in agreement with him but they’re patriots. They’re here to protect him. He’s the president. He won the election. He made a miscalculation in determining the intentions and the objectives of these people. Now he knows. So Comey… I first saw him answer questions about the dossier with George Stephanopoulos. That was the first nationwide interview, a Sunday night special edition of 20/20. Stephanopoulos gets to the question about the dossier. “No, I really don’t believe so. In fact,” Comey said, “I don’t think I called it the Steele dossier,” and he just glossed over it and Stephanopoulos dropped it. So I’ve been watching every subsequent interview of Comey, and I’ve been eager to see how many people in the Drive-By Media would expand on this and focus in on it. Nobody did ’til last night. Bret Baier. You know what Bret Baier, Fox News Channel, showed last night? How journalism is done. I’ve seen people… People sent me emails, “You know, I felt like I was watching Tim Russert again last night.” Russert was a guy considered… Everybody knew he was a sympathizer of liberal Democrats, but Meet the Press was straight down the middle, fair. He could ask pointed questions of people from all different ideologies and not appear to be partisan in his effort. That’s the way Bret Baier came across. I find it fascinating. Everybody’s running around in the Drive-Bys ripping Fox as illegitimate, ripping Fox as doing great damage to the institution of journalism. The only journalism I’ve seen — real journalism — in a long time was last night with Bret Baier and the way he interviewed Comey. It was unlike any other interview. Comey even showed up late for it. Fathom this. The interview starts at six. At 6:15, he shows up, sends a text to Fox and says, “I’m in traffic.” How do you not account for traffic? You got a live interview at 6 o’clock; you get there at five. But he was in traffic. But it didn’t stop Baier from getting to the crux. RUSH: So last night, when it came time to discuss the dossier, Bret Baier was interviewing James Comey. I don’t know what I was expecting, but what Comey said surprised me. Bret Baier’s question (we have the audio coming up after the next break): “When did you learn the Democrat National Committee and Hillary Clinton’s campaign had funded Christopher Steele’s work?” Comey: “I still don’t know that for a fact.” Not possible. Not possible. James Comey to this day does not know? Why didn’t he say that to Stephanopoulos? He still doesn’t know that the Clinton campaign paid for the dossier? He tried to act entirely shocked and ignorant at that revelation. It’s unbelievable. COMEY: I still don’t know that for a fact. BAIER: What do you mean? To try now to take the pressure off of Hillary and her campaign to blame this on the Republicans, while Comey runs around trying to be the paragon of virtue and a guy who’s not ideologically inclined? He’s only trying to uphold honor and integrated and morality and decency, and we have this scum bucket in the White House! 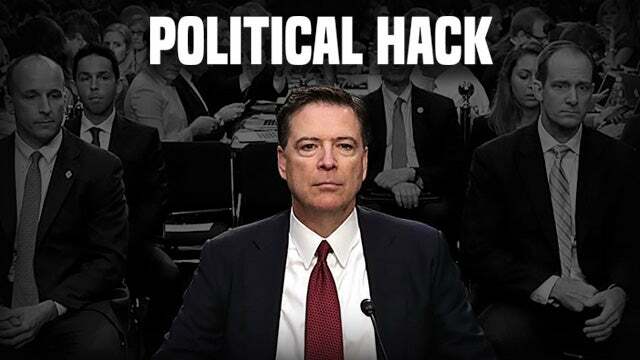 “And it’s just offensive to me, and I can’t tolerate it, and I — St. Comey the Infallible, I — single-handedly am gonna rid the White House of this poison and pestilence.” They’re crafting an image of this guy as unimpeachably honorable — reeking, seeping integrity — and yet with this answer, James Comey shows he is every bit the leftist partisan that anybody else in this investigation is. BAIER: But that’s not true. BAIER: That’s not true, that the dossier that Christopher Steele worked on was funded by Republicans? BAIER: So Free Beacon said that they had Glenn Simpson and Fusion GPS on a kind of a retainer, but they did not fund the Christopher Steele memo or the dossier. That was initiated by Democrats. COMEY: Okay. My understanding was the activity was begun, that Steele was hired to look into was first funded by Republicans, then picked up — the important thing was, picked up by Democrats opposed to Donald Trump. RUSH: Right. Now, ladies and gentlemen, this is… I don’t know what Comey’s trying to do here. “To the best of my knowledge…” “What I was told…” “My understanding was…” What, do you mean, your understanding? You are the freaking FBI director! You’re in charge of all of this! I’m sorry if I’m losing my cookies here, folks, but this is simply unacceptable. Acting like a bystander is what Obama used to do. While implementing Obamacare and these other destructive policies, he’s acting like he had nothing to do with it, and Comey’s doing same thing. You’re running this investigation, pal! You’re exonerating Hillary Clinton! You’re assuming powers you don’t have to announce that she’s not gonna be prosecuted! Now, here’s the story on this. The Free Beacon, Washington Free Beacon, during the Republican primaries, didn’t like Trump, and they had certain candidates that they liked. So they hired Glenn Simpson, Fusion GPS to start digging up some dirt because that’s what Fusion GPS does. They’re political opposition research. He’s a former journalist for the Wall Street Journal and a so-called security expert, and he’s got a chock-full Rolodex for anybody that matters in Washington and Aspen and wherever there are Washington establishment think tanks. So the Free Beacon hires this firm to try to dig up dirt during the primaries, and they abandon it! The Free Beacon abandons it. The Free Beacon had nothing to do with the Steele dossier — and Comey knows it! Comey is trying to sit here and say that Fusion GPS began work with Christopher Steele after the Republicans hired Fusion GPS. Comey says, “I’m sorry? I’m sorry? You dare challenge me, Baier? I’m sorry. I’m sorry. You say I said something not true?” I can see this attitude; I can hear this attitude. “Well, my understanding was that his work, Christopher Steele, was (stammering) funded by Republicans, opposition research by the Republicans.” What an ever-loving crock, and that little element of this answer betrays and shines a floodlight on Comey’s partisanship. He knows full well where this dossier came from. He knew it when they used it to get a FISA warrant. He knew it when he presented it to Donald Trump. He did not tell President Trump the thing was a bogus political opposition research document. He presented it to Trump — like Clapper did and like Brennan did — as legitimate intelligence, to the point that Trump said to them, “Do I look like a guy that needs to hire hookers?” To the point that Trump said, “My God you better tell people that’s not true. Hiring hookers to pee on a bed? I can’t… If my wife sees that…” And Comey uses that as evidence to suggest that Trump is guilty! 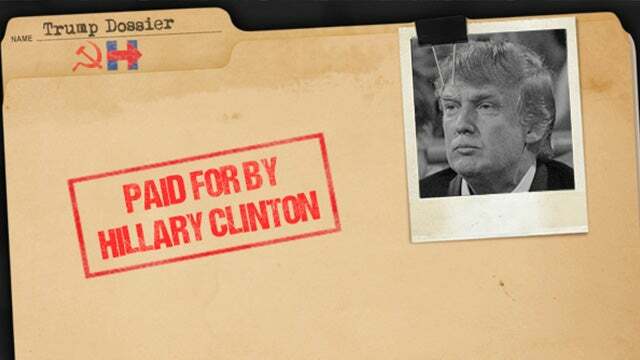 What it shows is they were lying to Trump about this whole dossier, who wrote it, its origins and its contents. And Comey’s taking notes all this time and writing them up later as “memos,” and he’s doing this while he’s the FBI director — and then he leaks these memos to a buddy of his who nobody knows is working for the FBI as well, this Richmond guy. And Comey wants his memos leaked because that’s what it will take to get a special counsel named and hired. And Comey’s now saying, “Wait a minute! (stammering) I — I — I — I — I — I’ve been fired. I couldn’t leak anything. I — I wasn’t at the FBI. These are not leaks.” Well, they sure as hell were, because there was classified information in them (i.e., his conversations with Trump as FBI director). Only Trump can determine what is classified and what isn’t — and if anything’s going to be declassified, what it is. But this answer on the dossier! “My understanding…” “Well, I saw it in the media…” “Well, what I’ve been told is…” As though he’s a bystander? As though he doesn’t have direct knowledge? He has more than direct knowledge. He has direct hands-on use of this thing! “My understanding was the activity was begun, Steele was hired to look into first fund by Republicans…” Steele never worked for the Republicans. The Free Beacon has said so. The Free Beacon put out a statement. Let me read it to you. Last October, Free Beacon: “All of the work that Fusion GPS provided to the Free Beacon was based on public sources, and none of the work product that the Free Beacon received [from Fusion GPS] appears in the Steele dossier. “The Free Beacon had no knowledge of or connection to the Steele dossier, did not pay for the dossier, and never had contact with, knowledge of, or provided payment for any work performed by Christopher Steele,” and yet here’s Comey, “Well, my understanding was the activity Steele was hired to look into was first funded by Republicans.” It’s the FBI director! This is not some lowly chump in the Drive-By Media not having his facts straight. It’s the FBI director! “My understanding is Steele worked for the Republicans.” It demonstrates Comey’s ability to prevaricate. It demonstrates Comey’s rank ideological partisan position on this, to try… You know, I’m sure that this answer was calculated, ’cause Comey knows what he’s gonna get going to Fox. He even said in his interview with Anderson Cooper the night before. He was joking to Anderson, “I’m gonna appear on a network tomorrow night that wants me in jail.” Bret Baier should have opened the interview by putting a pair of handcuffs on the table, if you ask me, just to lighten the mood. Wouldn’t you have loved to have seen that? Comey on CNN, “Yeah, I’m going on Fox; they want me in jail.” Comey shows up — Comey shows up late — on Fox and Baier whips out the handcuffs. Toy handcuffs, of course. But Comey had to know he was gonna get this question. He knows Stephanopoulos lets him get away with it. He knows CNN’s gonna accept whatever he says because they’re all-in on the getting Trump! But Fox isn’t! Bret Baier’s not in on getting Trump, nor is he in on getting Comey! Comey’s whole attitude last night, I thought it was pretty smarmy. But he’s coming off like he’s distant and, you know, not sure of his motives. “Why, I might have been doing it for that reason. You know, I’ll have to think about that, a good question. I might have had some morality problems.” It was flat-out amazing. We’re watching somebody as talented as Bill Clinton, folks, deal with these questions. But the chutzpah to try to act like he’s a bystander that doesn’t have all the information! “My understanding is…” “Well, I saw in the media…” “Well, some people told me that,” when he’s leading the charge on all of this, he and Brennan at the CIA. RUSH: There’s one more Comey bite with Bret Baier on the dossier and the FISA court. I want to start on phones. I’ve got a call related to what I’ve discussed up to this point. It’s John in Detroit. John, glad to have you here. Open Line Friday. You’re up first. What’s shaking? What’s happening? What’s up? CALLER: Not much is shaking, Rush. Thanks for taking my call. CALLER: I was watching clips of the Comey interview with Anderson Cooper, and I noticed something. He said that he was “a private citizen.” When he got fired, he was a private citizen, and then he gave documents to his friend at Columbia. CALLER: I’m wondering if he got fired, should he have had access to any files whatsoever? RUSH: This is why I wanted to take John’s call, because this is an astute and shrewd, he’s-really-paying-attention observation. Note how Comey is using the same lame excuse that Hillary used about sending classified emails, that they weren’t classified when he leaked them! “No, I had been fired. Uhhh, I was a private citizen. I couldn’t leak anything.” Same flimsy excuse that Hillary used, and they let her get away with it, and since Hillary got away with it Comey’s gonna use it to get away it, ’cause who’s gonna call Comey out on this? Nobody! I got an email during the break. “You sound really mad, just so you know.” Good. I am! This stuff ticks me off, folks. Like I said yesterday, “Where are we gonna get to get this fixed?” We have two legal systems. We have two different sets of application of law here going on in this country right now, and the powerful people in the Washington establishment have set it up so they don’t have to pay attention to the law while they go after other people who haven’t broken the law! Damn right, I’m mad! As I said yesterday, areas the reckoning, how does this get fixed? Interestingly, Kimberley Strassel has a column in the Wall Street Journal that has an interesting idea about this. Not only interesting, it’s brilliant. It’s right on the money, and in various other forms, I’ve heard other people suggest one of her suggestions, which I will explain to you in the opening segments of the next hour. But, John, thanks very much. Here’s the thing. These documents, these memos that Comey leaked and the classified documents that Hillary leaked, Comey is trying to say, “Well, wait a minute now. They weren’t classified when I leaked ’em. “I was a private citizen. I was not bound by secrecy.” Well, they were born classified, according to the law! Comey’s the FBI director, he’s meeting with Trump, and he memorializes these meetings. He never did this with Obama, by the way. Goes home and immediately starts typing notes about his meetings with Trump. Well, the minute he does that, they are classified. They are conversations with the president. It doesn’t matter. He could be in Timbuktu when he releases ’em; they are classified! They remain the property of the FBI, but Comey said last night, “No, they were for my… Think of it this way: They were for my diary. I have two copies. I left one copy with the FBI and the other copy is in my personal safe at home.” My personal safe at home! 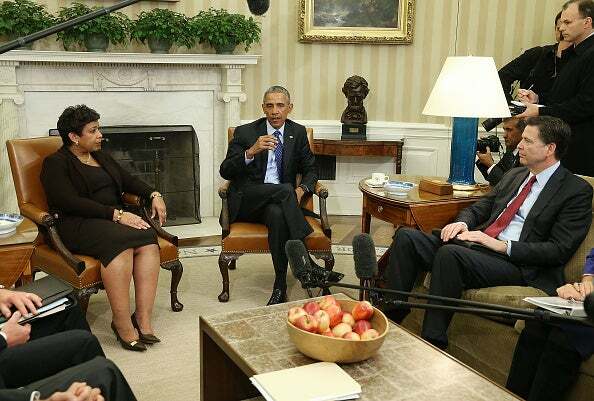 “So when I leaked them, I had been fired. I was a private citizen.” They were intelligence conversations with the president when he had this and when he wrote them and he leaked them to his buddy at Columbia whose name is Richmond. What we also learned is Comey had hired this guy, Richmond, to be sort of like an independent contractor. He was not on the payroll of the FBI, but he was working there as one. You know, Comey’s (what would you call it?) assistant or some such thing. But Comey said that he wanted the existence of these memos and their release to lead to the special counsel! He wrote the memos in such a way that when Trump fired him, it would look like Trump is obstructing justice and trying to stop the investigation. “We can’t have that!” Here comes special counsel. It worked out exactly as Comey planned ’cause all of his buddies — Rosenstein and the rest of them, Mueller — were in on it! RUSH: No, what’s going on with Comey and his answer to Bret Baier and this dossier, is he’s trying to make it look like the dossier doesn’t matter. That’s the real impact he’s trying to get. “Hey, this doesn’t matter anyway. I thought the Republicans paid for it. We’re so far beyond that.” No, we’re not. RUSH: Now back to some sound bites from the Bret Baier interview on Fox last night. The next question has to do with the FISA warrant and information that was provided along with the dossier to get the FISA warrant. Remember, the FISA warrant was supposedly necessary to spy on Carter Page — Carter Page! — who was an incidental, ancillary Trump campaign official that Trump never even met. The FISA warrant used the dossier and other information to spy on Carter Page. Could anybody tell me, if Carter Page was so damned important to get a FISA warrant, where is he in the Mueller investigation? COMEY: That’s not my recollection, Bret, and I don’t know that the FISA application has been released. My recollection was it was part of a broader mosaic of facts that were laid before the FISA judge to obtain a FISA warrant. BAIER: There was a lot more than the dossier in the FISA application? COMEY: My recollection was there was a significant amount of additional material about Page and why there was probable cause to believe he was the agent of a foreign power, and the dossier was part of that but was not all of it or a critical part of it. “A lot more than that was in the FISA application? “Oh, yes, my memory is… My recollection is… Of course.” What ho-hum. BAIER: What is the crime? What is the evidence, basically, that launched it? COMEY: The question is… You open a counterintelligence investigation to understand, are any Americans in cahoots with the foreign intelligence activities of an adversary nation? RUSH: “I’m not familiar with the word ‘collusion. '” (chuckles) What do we do with this? I prefer the word “cahoots”? I’m not… He says that ’cause collusion is not a crime. Neither is cahoots, for that matter. “What’s the crime? What was the evidence that launches all this?” “The question is… You open a counterintelligence investigation to understand, are any Americans in cahoots…?” Well, look, we’re back now to the fundamentals. Yeah, they opened counterintelligence investigation. What did they make this look like? They were making it look like a criminal investigation. Do we need to go through this all again, the difference in evidence and the difference in intelligence, and the reason why counterintelligence investigations are not criminal is because intelligence is not evidence? Intelligence is raw. It is biased. Sometimes your sources lie to you. That’s why the CIA has reams of analysts that pore through all of it and come to their best conclusions as to what it means. But it’s never used in court because it’s never exposed! Intel is never released! You would compromise everybody involved in it if you did! This was to have been a criminal investigation and a crime was to have been specified by Rosenstein when he charged Mueller with this, but a crime wasn’t specified because, as Comey said, it’s a counterintelligence investigation. Well, by definition, there aren’t any crimes there! Counterintelligence investigation? Yet everybody in this country has believed that Mueller and the gang are pursuing crimes committed by Trump, with the dossier as the lead exhibit. The crime is that Donald Trump won the election. What has ’em upset and angry is that Donald Trump won the election. Here we go with Bret Baier’s next question. We’re up to sound bite No. 16 here. “FBI protocol says that your own employment agreement with the FBI prohibits the unauthorized disclosure of any information or material from or related to FBI files or any information acquired by virtue of your official employment without prior written permission from the FBI. Did you have written permission” to leak this stuff? BAIER: You wrote it as an FBI director. It was a work product. BAIER: You were talking to the president? COMEY: Sure! I created two copies of it: One to keep at my personal safe at home, and I left another one at the FBI so the bureau could have access to it. But I always thought of it as mine, like a diary. RUSH: There it is. There’s the Hillary excuse. (stammering) “I — I — I didn’t leak classified info! I wasn’t secretary of state. I wasn’t…” Comey is using it. Comey was saying, “I wasn’t the FBI director. These were all personal recollections.” No, no, no, no. This is classified information, because it’s the result of conversations with the president. It means it’s classified. Everything with the president is. It’s “born” classified is the term. You write down a meeting you had with the president; it’s classified. It’s born that way. So whether Comey releases it while he’s at the FBI as a private citizen or has to unlock his private safe at home to get it, it’s still leaking classified information. He’s denying it. “No, it wasn’t part of the FBI files. It was right there in my personal safe.” “But you left a copy at the FBI.” “Well, but it was for my memoirs! Think of it as my diary.” This is the impeccable, the unimpeachable, the just overflowing-with-integrity former FBI director denying that he did what he did. So Bret Baier next says, “Who else did you give — leak, whatever you want to call it –” Who else got this stuff? COMEY: “Give” is what I prefer. BAIER: — the memos to? COMEY: Sorry, gave four memos to my legal team. BAIER: Which included Patrick Fitzgerald? BAIER: He was the legal team at that time? COMEY: Kelley and Dan Richmond. He’s got this exactly backwards. As the head of the FBI, Comey is not the person to determine whether or not Hillary gets charged, prosecuted, what have you. But he said she shouldn’t be anyway. Now he’s out there making all kinds of pronouncements as a private citizen. “Trump’s not qualified, Trump’s unfit, Trump’s a moral reprobate.” But wait a minute! You’re just a private citizen. Why can you say that now? We know that you also thought it as FBI director! You want us to believe it had nothing to do with the way the further the investigation. “I wouldn’t say that. My recollection is I haven’t had any…” What an absolute crock all of this is. RUSH: Bob in Spokane, Washington. Back at you, sir. We’re going back to phones. How are you doing? CALLER: Hey, Rush, doing great. Thanks for taking the call and it’s a pleasure to talk to you. CALLER: Yeah. Hey, I listened to Bret Baier’s interview last night and you just played the sound bite of it, and Comey says, “Oh, those weren’t really FBI official documents! Those were memoirs and a diary, if you will. I took them home and I put them in my personal safe,” and then he says — and underline this — “I left a copy with the FBI to have access.” Why would he leave personal documents with the FBI to have access? Does he bring his diary from home and leave it there? RUSH: Because they were the property of the FBI. RUSH: Well, wait? Who’s gonna ask him? This is my whole point: Who’s gonna ask him aside from Bret Baier? CALLER: Well, he won’t go on Bret Baier again. (chuckling) You ask him. We just did! RUSH: If I ask him it’s not gonna change anything. 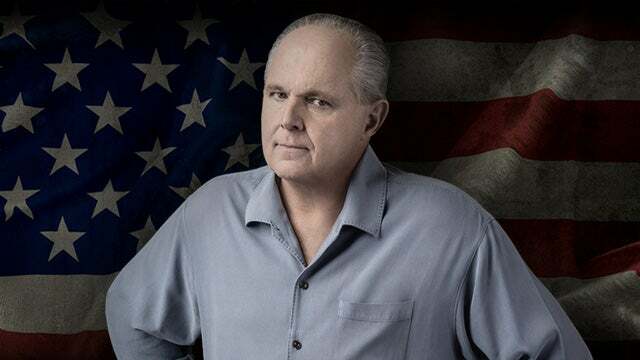 RUSH: A prosecutor needs to ask him! RUSH: He needs to be answering these questions on a witness stand! RUSH: They were the property of the FBI. RUSH: No. He’s assuming that his buddies in the media are gonna gloss all over this and they’re gonna carry forward the message that none of this really matters now. “We’re so far removed, none they have really matters.” He’s counting on everything every liberal Democrat out there counts on, and that is 100% defense, interference, and support from the Drive-By Media. I will guarantee… Remember Mrs. Clinton was asked during the campaign about her email server and classified documents? Somebody in one of her very few press conferences asked, “Do you think you’ll be indicted?” (cackling) “Ha-ha-ha-ha! Mwa-ha-ha-ha-ha-ha! No way. Who are you? Get the hell out of here! Indicted? Ha-ha-ha!” I guarantee you Comey thinks the same thing. “There’s no way.” None of these people think that they’re ever gonna be held accountable. Why, they occupy the moral high ground! They are trying to save America from this reprobate pig in the White House. So he doesn’t expect to ever have to answer that question for real. That’s my whole point. When’s this ever gonna happen, if it does? 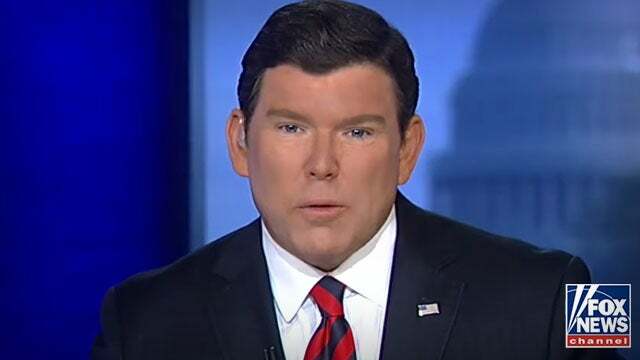 Bret Baier thought that was very odd that Comey has such hate and dislike for Trump that he would still want to be the FBI director. A lot of people thought that was a big deal. I love doing these comparative analogies because to me it’s not that big a deal. I can totally understand Comey and his ego wanting to be the director of the FBI, regardless who’s the president. That’s a big deal. Nation’s No. 1 lawman, J. Edgar Hoover Jr.! It doesn’t seem that big a contradiction to me, but a lot of people think that it is. A lot of people think if you don’t like the boss that much, why would you want to work for him? But I think in Comey’s mind, he wouldn’t be working for Trump. Look at the title of his book: “A Higher Loyalty.” No, he’d be saving the FBI. 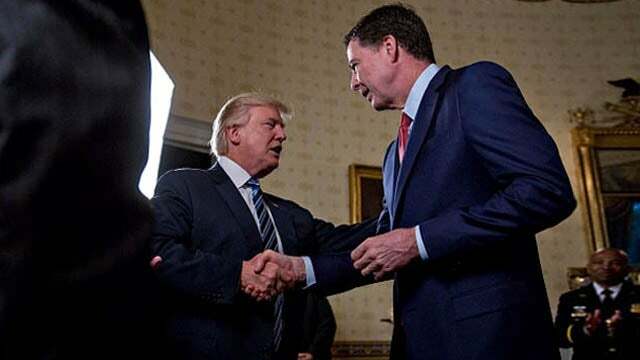 If he were still at the FBI, his agenda every day would be documenting how Donald Trump’s trying to destroy it, and he, James Comey, is single-handedly saving it. Back to the phones. Pinecliffe, Colorado. This is Bill. Bill, I’m glad you called and waited. How are you, sir? CALLER: Hello, Rush. This is an honor. Bronx to Colorado Rockies 1988 listening dittos. RUSH: Thank you, sir, very much. I appreciate that. That’s quite a trip. CALLER: I would like to give you my theory on Comey-Bret Baier last night. RUSH: Okay. Have at it. CALLER: I believe that Comey shows up late as if Washington, D.C., rush-hour traffic is a surprise to, A, shorten the interview. Possibly, B, throw Bret Baier after his game. And perhaps even preempt the All-Star Panel at the end of the show. He says towards the end of an almost or over two-week marathon interview session that this fiction of the Steele memo was Republican initiated to, A, feed the low-information voters who it never dig deeper than the headlines, and, B, so that Fox News — Fox News — can report that the steeled was started by Republicans. RUSH: Well, Fox News is not reporting that. If that was Comey’s agenda, that’s not happening. We are reporting that Comey said that and we’re doing it with great incredulity and disbelief. But Comey did show up 15 minutes late. Comey was supposed to appear from the top of the show with Bret Baier and they were gonna go 35 or 40 minutes, and after that the All-Star Panel, which, of course, would then analyze the Bret Baier interview with Comey. So Bill here thinks that Comey shows at 6:15, shows up late. Bret Baier says he got a text message from the Comey entourage that said, “In traffic.” Meaning, “We’re running late. We’re in traffic.” So old Bill here is saying, “That doesn’t wash with me.” The idea that rush-hour traffic is heavy in Washington is not a shock, that if you have a 6 p.m. appearance that is live, that you’ve got to be there by 5:30 for makeup and hair and makeup and hair and then makeup touchup. Then you go sit on the set, get the lighting right. Then more makeup, then makeup touchup. In other words, you gotta get there at least 30 minutes before. Can you imagine tuning in to watch the Super Bowl or any NFL game, announcer saying, “We just got a text. Visiting team is in traffic.” That would not happen. Visiting team has to be there — the players have to be there — 2-1/2 to three hours before the game. In championships like during the playoffs, the NFL used to require that the visiting team be there 48 hours in advance to allow for inclement weather, snowstorms, blizzards, that kind of thing. It’s not the case anymore, but it used to be. But it is kind of crazy to know you’re gonna be live at 6 p.m. and be late with a text “in traffic,” and you end up being 15 minutes late. He may have a point. It might have been to cut off the All-Star Panel post-interview analysts.